FREE delivery to United Kingdom in 6 - 11 weeks. Lastra's bold characteristics and strong architectural form come from its generous legs and top combined with simple yet sculptural details. Finished in a delicate combination of materials and colours. 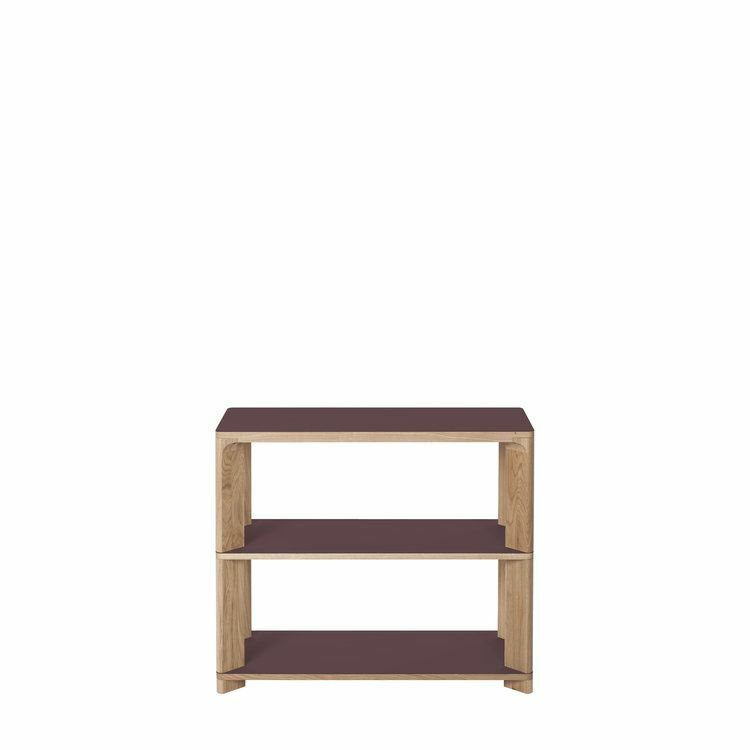 The Lastra range includes tables and storage for all areas of the home. Lastra is finished with a clear lacquer on oak and a unique Linoleum top available in a variety of colours. Linoleum is a natural material made of linseed oil, pine rosin, wood flour and naturally coloured pigments, which are then finished with a protective water-based acrylic lacquer. The surface has a feel of an earthy solid quality with a matt look and warm touch. The surface is extremely durable: actively resisting the build-up of static charges and preventing dust or dirt from sticking, it ensures that the material remains unblemished, hygienic, clean and fingerprint free! Another Brand is a simple collaboration between designer and manufacturer working directly as partners to create a business with products rooted in the DNA of Another Brand.